Cathy Isom continues her series on the “Three Sisters” gardening by letting you know how to plant the “Three Sisters” in your garden. That’s coming up on This Land of Ours. When planting The Three Sisters: corn, beans, and squash, it’s important to wait until after there is any threat of frost. Create a bed that’s at least four feet long by four feet wide and about one foot high. If the soil is mildly acidic, work in a couple of pounds of wood ash. Corn should be planted in a circle with a two-foot diameter, leaving roughly a foot of planting space around the circle. The corn seed should be planted an inch deep and 10-12 inches apart, equaling around six or seven stalks for each planting circle. Once the stalks have reached about half a foot tall, three or four beans should be planted around each stalk. These can be green beans, but traditionally, these would be beans for drying and storing. Then, about a week after the beans have been planted, it’s time to sow the squash. Typically, these will be autumn squashes, with the hard shell. Squash plantings should be just a few inches outside the circle of corn, and there should be one squash plant per corn stalk. Symbiotic garden.Sustainable Companion Planting. 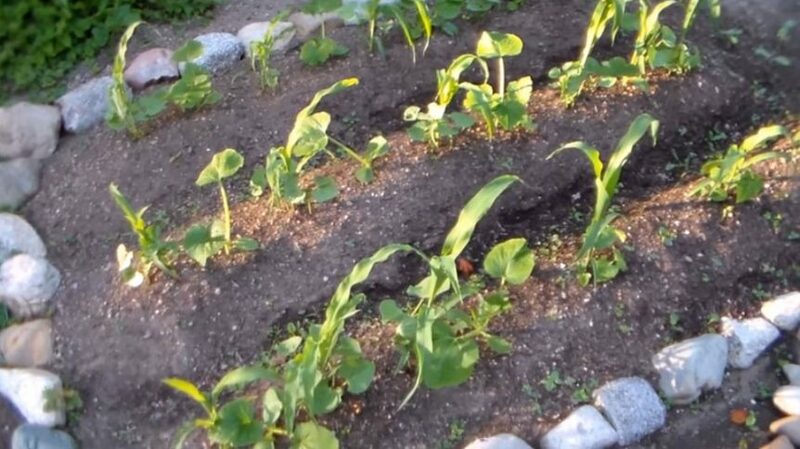 Vegetable gardening…How to plant a three sisters garden. Sustainable prepper garden. Companion gardening and sustainable! Planting organic corn, squash and beans! First Nations Permaculture garden technique or design.